Home » Soccer » Why do Manchester City and Barcelona fans boo the Champions League anthem? Why do Man City boo the Champions League anthem? The reason fans of Pep Guardiola’s side show their discontent dates right back to 2012. Mario Balotelli was subjected to racial abuse by Porto fans in the last 32 of the Europa League. UEFA were notified and took action but Manchester City felt the €20,000 fine was far too lenient. City faced Sporting Lisbon in the next round and arrived late from the dressing rooms for the second half. UEFA fined them €30,000 for the misdemeanour, more than Porto were made to pay for their fans being racially abusive to Balotelli. The introduction of Financial Fair Play was the final straw for City fans as they felt the system specifically targeted the club. 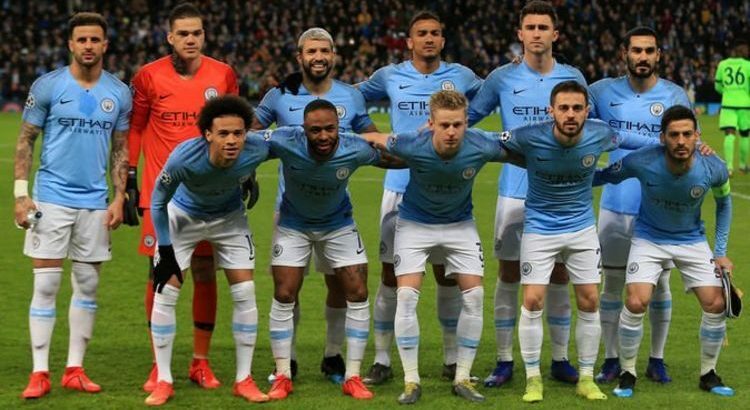 City were found to have broken the new regulations, UEFA fined them nearly £50million – which was distributed to other Champions League clubs – and forced them to register a smaller squad the next season. In 2014 there was another scandal as CSKA Moscow were sanctioned for racist chanting. The Russian club were forced to play against City behind closed doors. City welcome Tottenham to the Etihad tonight as they look to make it into the Champions League semi-finals. Guardiola’s side trail 1-0 from the first leg. Why do Barcelona fans boo the Champions League anthem? Barcelona supporters are often heard booing and whistling over the UEFA anthem at the Nou Camp. Their beef with the governing body is long-standing and shows no signs of going away. The club have twice been fined for the controversial display if the ‘Estelada’ Catalan Independence flag in amounts totalling nearly £50,000. UEFA consider the flag – which represents the separatist movement to secede Catalonia from Spain – a political symbol and therefore banned from the games. But the club handed out 30,000 of the flags against Celtic back in 2016 and the issue shows no signs of going away. Lionel Messi makes stunning Cristiano Ronaldo admission – does Barcelona ace miss rival?